World renowned as the professionals choice , the HERM SPRENGER line of German Steel ROUNDED TIP martingale design collars. This collar produces an even pressured safe pinch for the most effective corrective dog training collar available. These affordable collars are polished chrome plated steel. The ends of the prongs are nicely rounded and not sharp. These collars are a great economical choice. The collar should be worn snug on the neck it should be fit just under the jaw right behind the ears. 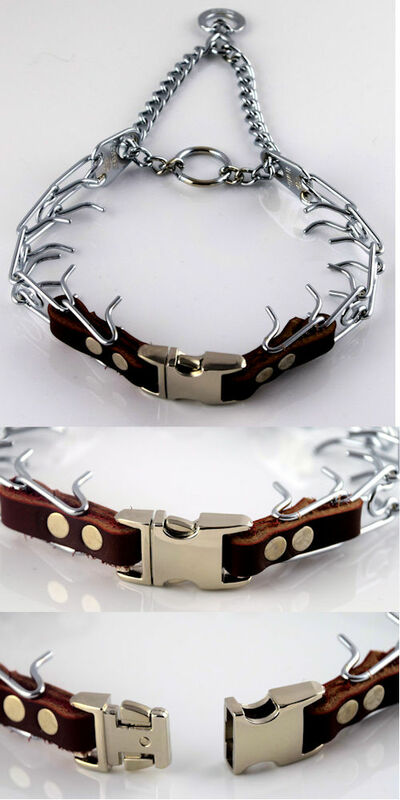 These prong collars should not be used as a permanent collar. Used to help control a stubborn or unruly dog, but will not harm the dog if used properly. The prongs are blunt on the end and go inwards towards the neck of the dog. The collars will tighten under pressure and will release pressure instantly. The collar should be worn snug on the neck it should be fit just under the jaw right behind the ears. Dogs should never be left alone or tethered wearing training collars. 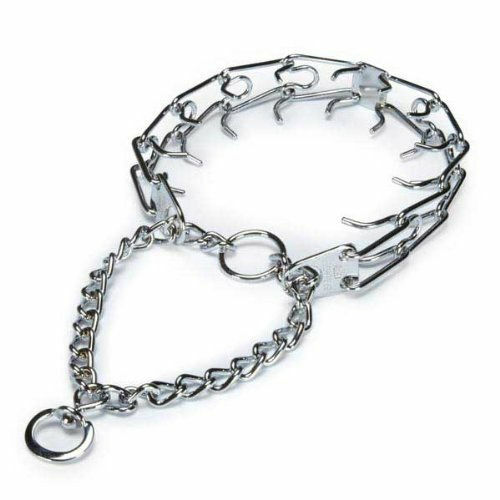 When properly fitted and used correctly prong collars are very effective and safe training tools. Sizing: When measuring your dog, measure around the neck behind the ears.